Based on the memoir The Taliban Shuffle: Strange Days in Afghanistan and Pakistan, Whiskey Tango Foxtrot stars Tina Fey as Kim Baker, an American journalist who becomes unsatisfied with her tedious desk job and spontaneously decides to take assignment as a war correspondent in the Middle East. She begins in Kabul, where she is eagerly welcomed by fellow female reporter Tanya Vanderpoel (Margot Robbie) and not-so-subtly wooed by Scottish photographer Iain MacKelpie (Martin Freeman). When the initial two-week time frame of her assignment passes, Baker finds that she’s actually grown accustomed to potentially perilous nature of her new job and stays in hopes of chasing down a career-defining story. Co-directors Glenn Ficarra and John Requa, who also collaborated on recent films Focus and Crazy, Stupid, Love, bite off a bit more than they can chew thematically but they do a great job of establishing a playfully irreverent tone without seeming distasteful or flippant towards the subject material. They also wisely steer away from cheap scapegoating or political posturing, instead favoring a more genuine and refined approach to their storytelling. There are also some inspired music choices that liven up some crucial scenes, the most memorable involving a covert, Marine-led hostage rescue set to Harry Nilsson’s “Without You”. It’s no secret that Tina Fey has had mixed results when trying to translate her comedic success from television to the big screen, which is why it’s so encouraging to watch her hit this role out of the park. By both dramatic and comedic standards, this is far and away her most satisfying film performance to date. She’s such a perfect fit for this character, it’s not hard to imagine that the film wouldn’t have been made without her involvement. Perhaps her work here will be enough to convince other directors to reconsider her dramatic range as an actress and lead to more challenging roles in the future. The rest of the actors, including FX’s Fargo favorites Martin Freeman and Billy Bob Thornton, are just as well cast and lend an added layer of authenticity to the story in both large and small roles. A notable standout alongside Fey is Christopher Abbott as Baker’s Afghani handler, who gives a performance filled with quiet humility and an unstated empathy that I found to be magnetic in each scene that he appeared. 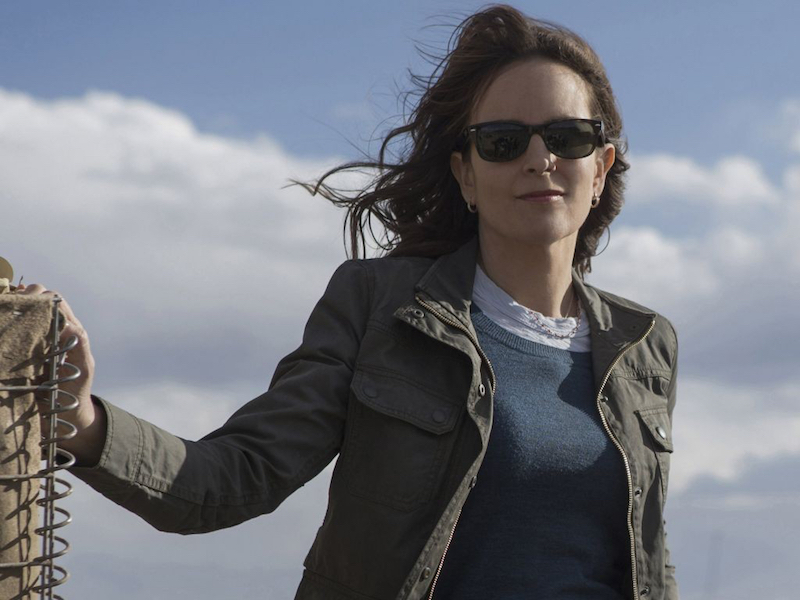 So many smart choices were made for Whiskey Tango Foxtrot and it’s quite rewarding to see a studio film, especially a comedy, that doesn’t feel the need to dumb itself down.